Home / News / Offset Stop Chris Brown Meme Over 21: "Ain't Funny Lame"
Offset Stop Chris Brown Meme Over 21: "Ain't Funny Lame"
Offset was like we are trying to ruin the excess pressure on 21 Savage and Chris Brow is poking fun over the incident that lands as a juggernaut on Savage. 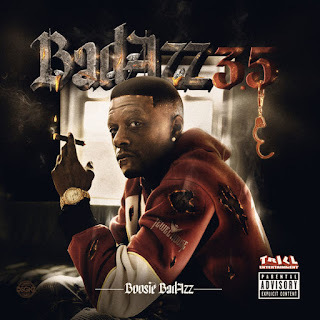 21 is no longer living his luxury life since he was arrested by US ICE over unlawful citizen and his birth certificate is not clanging rather showing the fact that the rapper is a landmark UK citizen. Chris Brown and 50 Cent thinks that detaining the rapper in custody is just fun after Cent made his appearance with a Vicious post linked together with Tekashi 6ix9ine and 21 Savage. After 50 Cent took to his Instagram trolling 69 yet 21 Savage, Chris Brown is contrary sitting on the fence because we can't even tell what all his meme post over Savage is all about. Offset and Cardi b has been instrumental in support of the Savage and they have been worried to sign the petition to Free 21 Savage. Cardi b once told us that 21 has been good friend with her and offset and they will standout with no desperation in supporting him. 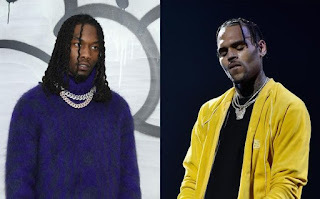 Now Offset is upset seeing breezy poking amazing fun over the rapper that fellow peer in hip-hop are helping to solve issue but Chris Brown seem following 50 Cent steps and Offset has step up to stop his meme on the hostage rapper. The hint here is that Chris Brown was included as he shared a clip of the rapper free-styling during his XXL showcase, switching the vocals to U.K. star Big Shaq. It was actually fun to Offset after seeing the clip on Chris Brown Instagram home page and he then reply by posting "Memes ain't funny lame," wrote Set. Already Offset has to his fans and more that nobody should be laughing over the current misdemeanor but lets stand out and help the rapper. Savage has some backup like Meek Mill, Offset,Cardi b, Nicki Minaj, his mom and also his manager and also Young Thug who sent him a massage.